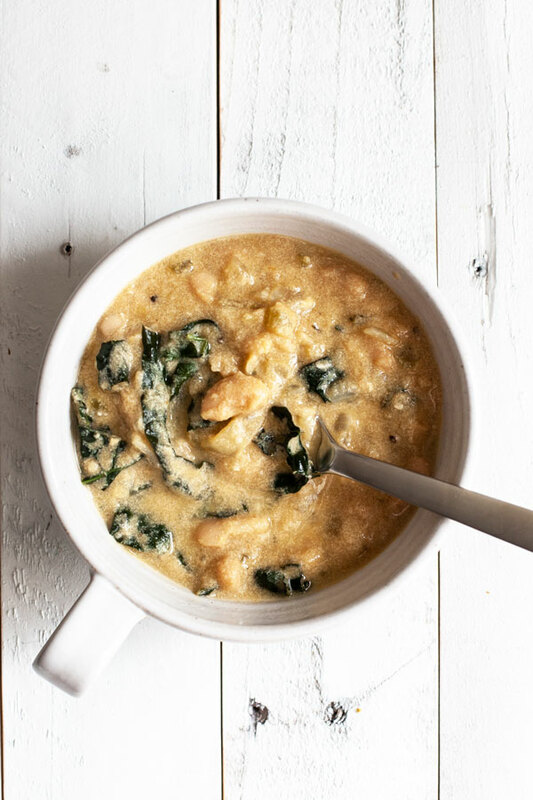 Latelyâ€”since the DI beganâ€”soup has become even more of a friend. 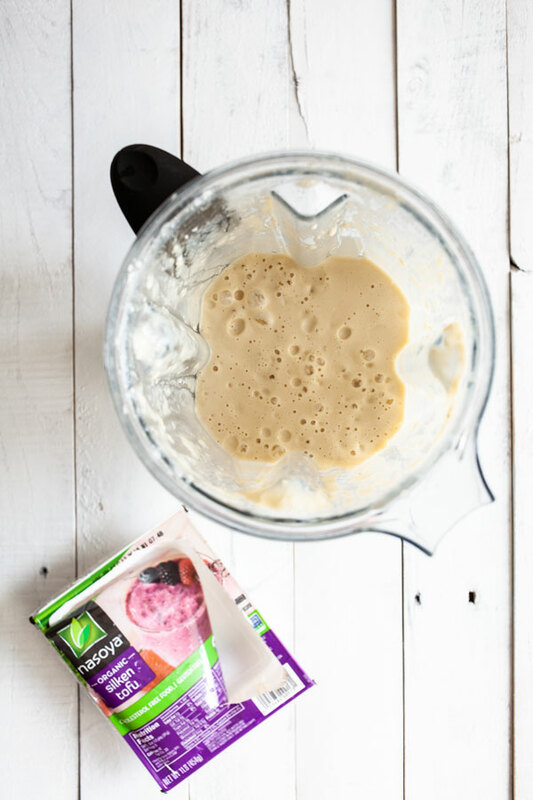 It’s easy to make, and it yields a ton, which means that I can eat it for days during the busy week and freeze even more for weekends when I don’t feel like batch cooking as much as usual. 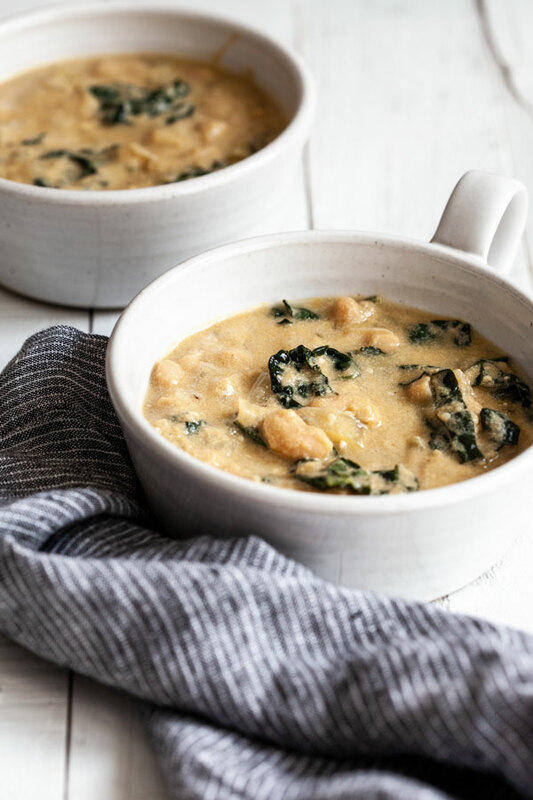 This creamy vegan Tuscan white bean kale soup is my latest, cozy, cool-weather favorite. 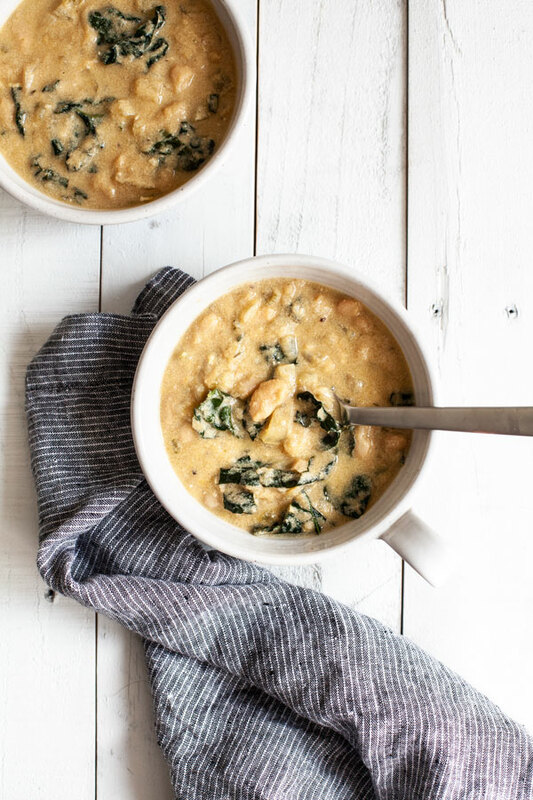 There’s no shortage of ways to add creamy texture to vegan soups. You can use whole cashews, cashew cream, a non-dairy milk, or even nut butterâ€”any will create richness. Not all of them, though, add nutritional benefits. 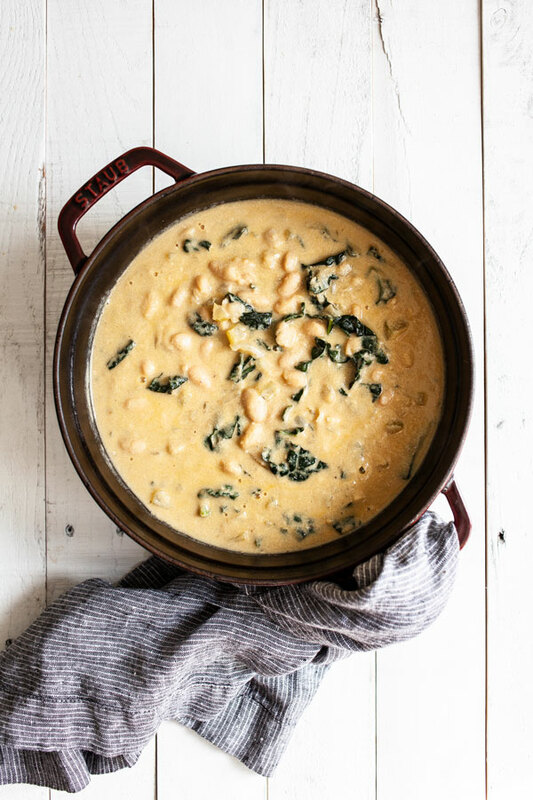 Silken tofu is yet another way to create creamy sauces and soups. Unlike many other options, though, it’s rich in protein and Omega-3 fatty acids, and it contributes calcium to the dishâ€”in addition to being a good helper in the kitchen! 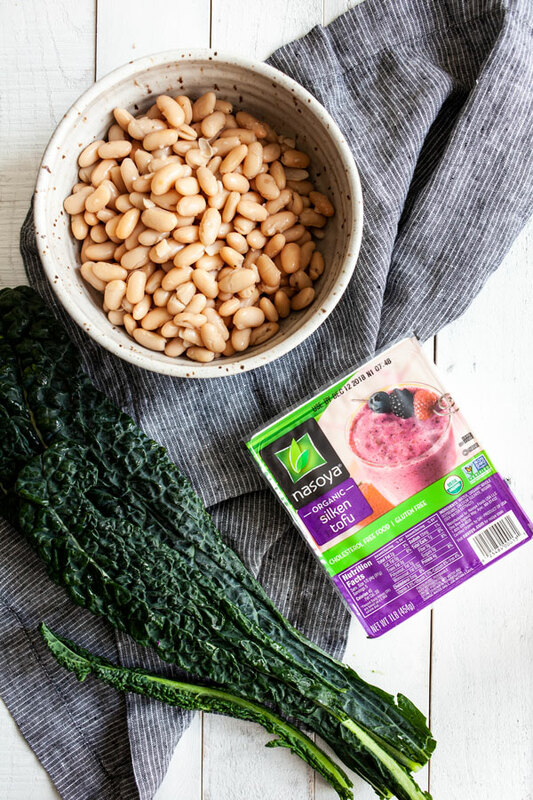 This soup boasts not only the Nasoya silken tofu for protein, but also three cups of cannellini beans, so it’s a plant-protein double header. The recipe is simple: sautÃ© onion and celery, add garlic, add beans and herbs. 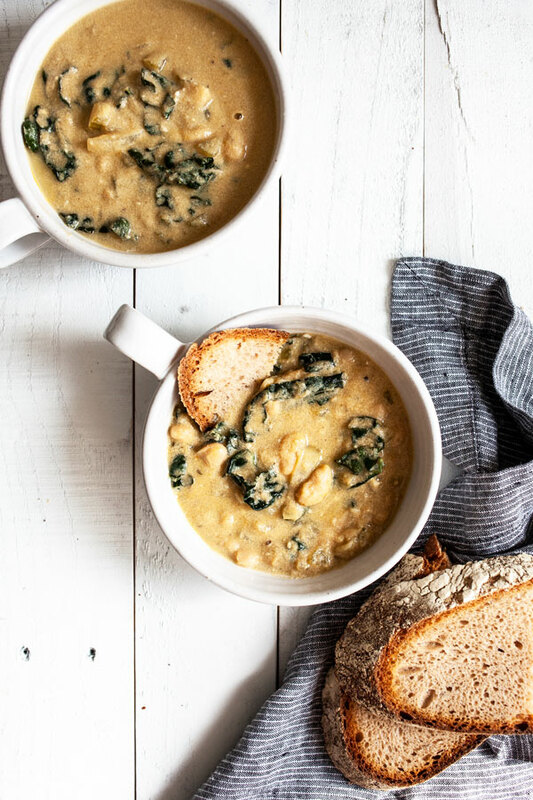 After a little simmering, blend two cups of the soup liquid with silken tofu, add this creamy mixture back to the pot, and add some Tuscan kale (or regular kale). A little more simmering, and the soup is done. This post is sponsored byÂ Nasoya. All opinions are my own, and I love this go-to brand of tofu and other creative soy products! Thanks for your support.